Delver lives. As anyone who has been playing MTGO, following the results of SCG and TCG States events, or reading this site knows, the rumors of Delver’s death have been greatly exaggerated. Although the traditional UR Delver deck did fade into obscurity following the (in)famous banning of Treasure Cruise, another Delver and another delve card rose to take its place. If Delver was to remain competitive in Modern, Tasigur, the Golden Fang was the shirtless dude to make sure it happened. And if the MTGO and paper numbers are any indication, Delver’s new best friend has been putting in some serious work. Grixis Delver is now Modern’s go-to Delver deck and rapidly becoming its go-to tempo deck. As you can see on the recently updated “Current Metagame” table on the page’s sidebar, or on our Top Decks page, Grixis Delver has rapidly risen through the tiers to secure a solid tier 2 status in Modern. This week marks the first time Grixis Delver has been a top 10 deck in the format. It started with a few brews on MTGO, rose into an MTGO staple, and then exploded across the digital/paper divide to cement its standing as a tier 2 deck. In this article, I want to try and explain Delver’s rise to prominence and make the case for why this deck is here to stay. Some players have doubted Grixis Delver’s longevity in Modern. And why wouldn’t they? Flavor of the month decks don’t always last, and Delver is supposed to be dead anyway, right? Shouldn’t we all be playing Abzan, Twin, or maybe Amulet Bloom? Grixis Delver might not be the most broken deck in the format, but it’s a serious contender and a rising star. Based on that, I want to do two things in this article. First, I want to track Grixis Delver’s rise over the past few months. This will take the form of a statistics-driven history of the deck, and will give players important context to consider when talking about Modern’s newest powerhouse. Second, I want o use the MTGO Deep Dive data to look at some of Grixis Delver’s matchups in an effort to explain why the deck might be rising. This will give us some perspective on where Grixis Delver is coming from and on what might happen with the deck from here. One of the most important factors in tracing a deck’s rise is its tournament appearances. We can argue theory and statistics until we all get banned from every Modern forum on the internet, but we need to ground ourselves in recent history first. This means understanding Delver’s rise from 0% of the Metagame to a solid 2.5%-3% of paper and ~6.5% of paper. Grixis Delver’s rise starts with the January 19 ban announcement. Treasure Cruise‘s death all but guaranteed the death of UR Delver with it, and the Dig Through Time ban sealed its fate. Almost overnight, Delver fell from being the most-played deck in the format to tier 8 oblivion. From 9/22 through 1/19, Delver made up 14% of the metagame. At its highest, it was over 20% of the format. It averaged about a 17%-18% share, and only started to fall in January 2015, when Birthing Pod Abzan decks surpassed it. Meanwhile, Grixis Delver was a complete nonentity. It saw literally two Top 8 showings in the TC era, one at an SCG IQ in Littleton and another in Vidor. Notice that neither deck used Tasigur, only one even used Terminate, and the other was only splashing for the discard spells. Once the 1/19 bans went into effect in late January, UR Delver crashed in both MTGO and paper. It saw only a handful of finishes online, comprising less than 1% of the MTGO metagame from January through the end of February. The Delver decline took longer in paper, with Delver maintaining exactly 1% of the metagame through the beginning of March, but then falling down to about .6% through April. MTGO’s UR Delver share remained steady at around .8%. Interestingly, the deck didn’t totally die out, and we still see UR Delver finishes to this day. Two prominent finishes include a T8 appearance at the 237player SCG Premier IQ in Dallas, and a win at the 157 player Premier IQ in LA. But even so, the days of UR Delver glory were clearly a thing of the past. The question is, where did Grixis Delver start to take over? Grixis Delver first appeared in a publicly reported MTGO daily on 2/12, piloted by MouT to a 3-1 finish. MouT’s list was significant because it includes numerous cards that ultimately became Grixis Delver staples: Terminate, Tasigur, Murderous Cut, etc. A few other players picked up the deck in the following weeks, but by mid-March the deck was only about 1% of the MTGO metagame, with no significant movement past that initial jump in interest. Grixis Delver was doing even worse in paper, with a measly .5% share through the same time period. Here is that initial list. Other players undoubtedly picked this up before MouT did, but this is the first public record of the deck’s post-1/19 rise. Then came the last two weeks of March, when Grixis Delver exploded from cute holdout of the previous era of Modern into a real contender. During the week of 3/16 – 3/22, Delver more than tripled its MTGO from 1% to 3.2%. In the next week, 3/23 – 3/29, Delver’s newest form jumped again, this time to 5.2%, From that point on, the momentum was unstoppable. Week three (3/30 – 4/5) saw Delver leap up to 8.5% of MTGO, and although that rise has slowed, the deck still stands at between 6% and 7% of MTGO. All based on a few weeks of explosive growth. As is often the case with breakout Modern decks, there is often a delay between when the deck crosses over from its introduction venue into the broader scene. In this case, paper didn’t catch on to Grixis Delver until April. The first time Grixis Delver started to make paper movement was the last week of March. During that period, we noticed a handful of Grixis Delver finishes at a variety of American and European events, but only totaling about 3% of the metagame. This share held steady both during the weekend of TCG States, and again during the SCG States only seven days later. Standout performances include 1st places finishes at TCG States in Iowa and Nebraska, at SCG States in Nebraska (the same as the TCG player!) and Mississippi, and a 16th place finish at the Premier IQ in Providence. Here’s the winning list from those two Nebraska lists. I’m showcasing it not because it’s the “best” Grixis Delver build, but because it has interesting inclusions, and because it is so rare to have a deck win twice at two separate events within a week. This was the list from the 4/12 event, which has some tiny differences from the 4/5 one. There are a variety of different Grixis Delver incarnations. Some use Gurmag Angler. Others use Darkblast, and others still use Kolaghan’s Command. But their core is very similar to the one shown here and the one showcased in MouT’s finish, and this should be considered the starting point for all prospective Grixis Delver pilots. The Delver decks weren’t the only strategies rising and falling through the Modern ranks during this time period. Other decks, including both heavy hitters like Abzan and Twin and some lower-tier players like Abzan Liege and Amulet Bloom, also experienced some metagame fluctuations. This context is obviously important when considering Grixis Delver’s rise, so we need to consider it as part of the broader historical picture. Honestly, the best way to see the metagame evolution in this time period is to check out my last two metagame breakdowns, one from 2/16 – 3/16 and another from 3/1 – 4/1. if you’ve read them before, this will all be familiar territory. If not, or if you don’t eat/breathe metagame data like I do, then you can re-read them for a quick refresher, or just see below for two key factors I believe affected Grixis Delver’s rise in this time period. It’s no secret BGx decks are bad news for Delver. This has been true ever since the printing of Abrupt Decay, which was a sort of death knell for blue-based tempo (and even midrange/control) strategies everywhere. When BGx was strong (Hello, Deathrite Shaman! ), Delver was weak. When Delver was strong (Hello, Cruise and DTT! ), it was because it had tools specifically to overcome BGx matchups. After 1/19, however, Delver lost those tools and Abzan picked up some new ones, which was not the hospitable environment Delver players would hope for. But as any one who follows metagame stats can tell, Abzan has gone nowhere but down since those opening days of the post-TC/DTT/Pod Modern. 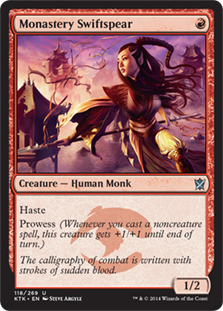 At one point, we were looking at a format that was as much as 25% Abzan, based on the PT Fate Reforged results. But now, we are looking at a format where Abzan keeps falling. Its overall share today is 11.7%, an almost 2% point drop since the last metagame update. MTGO is even lower: the deck is down to a paltry 6.6% there. All of this is good news for aspiring Delver players, at least so long as the trend holds. As much as Delver hates Abzan, Delver also loves Twin. There’s a big reason Twin did so poorly relative to other decks in the TC era, and it wasn’t because Twin players suddenly got tired of the deck and stopped playing it. Delver was an absolute beating for Twin. The deck fell below a 5% metagame share in that time, a shocking drop for a deck that has almost always stayed over 10% no matter what else is happening in Modern. And with the death of UR Delver, Twin rose again, returning to its previous metagame shares and taking down both PT Fate Reforged and GP Vancouver in the process. Twin may have dropped slightly along with Abzan in the past few weeks, but its overall share is still quite high. It remains the most-played MTGO deck at 9.9%, which is critical given Grixis Delver’s success being largely a function of MTGO. So long as Twin remains an MTGO force, Grixis Delver is going to be there to take advantage of this deck. Like UR Delver before it, Grixis Delver is just nasty in the Twin matchup, and the deck will continue to ride those matches to victory so long as Twin remains a Modern contender. There are almost certainly other factors affecting the rise of Grixis Delver. From a metagame perspective, this might include the rise of Affinity (Grixis Delver has a respectable Affinity matchup) and the continued presence of Burn (Grixis Delver has a relatively painless manabase, which gives it a lot more game against Burn than would a deck like UWR or RUG Delver). But it might also include extra-metagame factors. For instance, it is hard not to notice its cost to power ratio, which is relatively favorable compared to other decks in the format. It’s a competitive deck that doesn’t require any of the golden (almost literally) staples of Modern, like Goyf, Lily, Hierarch, Cryptic, etc. Another factor is likely that it’s plain cool. Delver is supposed to be dead! Didn’t you Grixis nerds get the memo? The fact people can keep playing their tempo Delver deck is appealing to many players, and is likely one of the reasons Grixis Delver has enjoyed such popularity. All of these historical and metagame observations give us some hints as to why Grixis Delver is succeeding. But they are a little less data-driven than many of us would like. In many respects, they are TOO big picture, without giving a lot of consideration to the Grixis Delver gameplay itself. One way to unpack this gameplay is to analyze the deck on theoretical grounds. Although this is an interesting article idea, and probably one you will all see here one day soon, it’s not the approach I want to take right now. Instead, I want to use the MTGO Deep Dive Dataset I’ve been using in two of my last articles to talk about matchups. From a purely theoretical perspective, we can probably conclude a few things about Grixis Delver. First, it looks like it has a good Twin matchup. That’s kind of the whole point to playing a Delver deck in Modern. Second, it appears to have at least a decent matchup against a lot of creature-based decks in the format, particularly aggressive ones, because of its removal and its efficient threats. This would include Infect, Affinity, Abzan Liege, etc. Finally, Grixis Delver is probably weak to the same stuff UR Delver was weak to. This includes Abzan and linear decks that can ignore removal and burn, like Amulet Bloom and Bogles. Those last two decks in particular are just not a lot of fun as a Grixis Delver pilot. It’s like we are playing Magic and they are playing something else. Like Solitaire. How does the matchup data support or challenge these findings? Pulling from about 50 Grixis Delver decks playing over 150 matches, here were some matchup takeaways I found. Bear in mind that the standard Wikipedia statistician objection of “lulz N is small” doesn’t necessarily apply here, because we are using a small N dataset to test some broader conclusions we have drawn both from experience with previous decks (e.g. UR Delver) and from our own theoretical understanding of the deck. This kind of mixed-method approach is a great way to shore up a smaller sample size. Additionally, I employ a statistical technique known as bootstrapping to try and estimate the “true” range of MWP values in certain matchups. Bootstrapping suggests it is 95% likely a deck’s MWP is somewhere between two values. I will only do this for Twin and Abzan because the interval is too wide to be useful for the other decks. For the most part, our theoretical observations on Grixis Delver are supported by the matchup data. This suggests all of the explanations we have looked at so far might in fact be good ones for explaining Grixis Delver’s rise. So long as Abzan and Amulet Bloom stay where they are (or lower! ), then the deck is likely to keep enjoying its current success. One slight surprise for me was Burn turning out to be a little less favorable than I thought. This makes sense on an in-game micro level (Grixis Delver is playing too interactively against a deck that doesn’t want to play fair at all), but it doesn’t make much sense on a metagame level. For Grixis Delver to be 6%-7% of MTGO, it needs to have a semi-acceptable Burn matchup. Burn is just too rampant for Grixis Delver to have anything else. This suggests to me Grixis Delver’s true Burn MWP is probably a bit higher than is tracking here. That said, the bootstrap suggests Grixis Delver really is a powerhouse versus Twin. It’s true MWP in that contest seems to be at least 60% or so. But this works against it in the case of Abzan, where Grixis Delver suffers from an MWP probably worse than 33%. As a final note, the so-called “Deep Dive Dataset” will get more entries in the near future, which is sure to change MWPs for all the matchups listed above. As those MWPs change, we would expect all of them to normalize closer to 50%. But even with that centralizing effect, the general range of matchup performance would still stay about the same. Abzan would still be a nightmare, but it would be closer to perhaps 30%-40% instead of 11%. Twin would still be very strong, but perhaps closer to 60%-70% instead of over 80%. 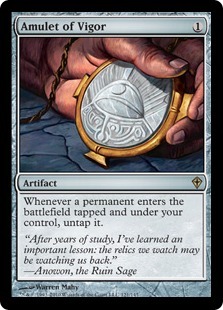 The boostrap hints at this for Twin and Abzan, but is too wide for other decks to suggest anything. For example, if we bootsrapped this current sample for Burn, we would find the true MWP to be somewhere between 16.7% and 66.7%. That’s too wide to tell us anything. And to be honest, more datapoints would probably adjust the width of our bootstrapping, so we shouldn’t take those to be definite values. They are just quantitative guideposts to point Grixis Delver players in the right direction. I fully and completely expect Grixis Delver to remain in tier 2 for months to come. I also think it is very likely we see at least one T8 performance by the deck in the June GPs coming up in a few months. The deck is very well positioned and, although not some broken force of nature lying in wait, has good matchups in areas that count. Add a slight rogue factor, which makes it harder for players to prepare for the deck or even know how to beat it, and you have a strategy poised to make waves at major Modern events. The future is bright for Delver players and for Grixis Delver brewers across the Modern community. I’m looking forward to seeing this deck evolve even more and to keep highlighting its performance across events. As long as you watch out for those pesky Bogles and Titans, you will enjoy a lot of success with one of Modern’s newest competitive powerhouses. In this article you state Grixis Delver will likely remain Tier 2 for months to come, but isn’t it a strong contender for Tier 1 status? I mean yeah the Abzan matchup is poor but this deck keeps getting results online. It looks like the real deal. Potentially. It needs to translate its considerable MTGO success into more paper success, which it isn’t dong right now. If it can snag one T8 of a GP, however, that should open up the floodgates for people to try this deck en-masse. And once they do that, it should get to tier 1 in no time. But the qualifying event is some GP success in the T8s. part of why the burn results are pretty incorrect : the mana base. scalding tarns are what would make the deck expensive. many players chose (or have) to play without them. Interesting article, and the packaged fact that Amulet Bloom has somehow fallen out of the Top 10 is very surprising to me. I would have expected RG Tron to bite the dust long before Bloom (that certainly helps validate your article’s assertions). I’m assuming you didn’t show the matchups against the rest of the top 10 because there wasn’t enough data to choose from, yes? Because it would be interesting to see how it does (especially against Infect and Merfolk). It’s one of those situations where we have lots of Merfolk data and we have lots of Grixis Delver data, but we don’t have as much data between the two decks. I am fine to report on the matchup of any deck that played at least 4-5 matches against another. A 1-4 record or 5-0 record is very suggestive of a broader trend, even though we would definitely expect some centralization of those results with more datapoints. But we don’t have that with Grixis Delver v. Merfolk, unfortunately. I disagree on that one and would argue the converse; Grixis Delver’s manabase does hurt a lot, Burn is the Nemesis of this deck – or a very hard match up at least. Especially W and G have better options here with Timely Reinforcements and Feed the Clan to name but a few. For sideboard cards, I agree that both UWR and RUG are going to have better options for handling Burn. In that case, Grixis Delver just defaults to Dragon’s Claw and tries to get double-duty from its own spells and Burn’s. From a mana base perspective, however, Grixis Delver can run the fastlands to an extent that other decks can’t. We are seeing more decks on MTGO go up to 2-3 of Darkslick Shores/Blackcleave Cliffs, which is not something we saw in UWR or RUG Delver. The RG fastland is obviously unusable because you can’t cast blue cantrips off it, and the UW fastland is problematic because the only non-blue spell it opens up is Path. Shores gives you both your cantrips and your turn 1 IoK play, not to mention giving you access to the turn 2 Tas off a Scour/Fetch. Then again, in the case of UWR, this would be offset by UWR having the maindecked Helix. So this is more a strike against RUG than it is against UWR. These articles are great. I enjoy the speculation as to why you think the deck is performing the way it is (which is all other authors do) but then test these against the data. A qualitative approach. This project has so much potential. Once the data increases, this data will be valuable. Paywall valuable? I sign up for scg premium articles just because it is very cheap. Mtggoldfish has junks metagame percentage plummeting- with the overall amount of bgx decks the lowest since treasure cruised was banned. Am looking forward to the next top decks article in the next two weeks. Data is much less valuable if it’s behind a paywall. I’d be pissed if a paywall appeared here–it’s something that’s entirely against the base of support behind the site. If you follow them on MTG salvation, you’ll note that ktkenshinx has been a proponent of community generated/collected data and analysis of the data that SCG/WotC/other large TO’s have available to them but do not make public. Part of the reason Pro Tours get analyzed to death is that they are the only large-scale events where we have this level of data. Part of what they’re doing with this project is trying to change that, and I approve. If I weren’t an MTGO agnostic, I’d be scraping data for them myself.